Lost Dutchman State Park campground has 134 single-family campsites and 68 of the campsites have water/electric hookups. The electric/water campsites are 16-31, 41, 58 and 75,104. The other (non hookup sites) can accommodate tents, trailers and RVs. The Park also has new cabins available for rent. Each campsite also has a table, fire ring and barbecue grill. We have campsite photos for 72 of the sites and will be getting the other campsites photographed soon. Our favorite Lost Dutchman State Park campsites are: 4, 8, 32, 36, 38, 42, 48 and 56. The campground also has drinking water, amphitheater, group ramada, a dump station, restrooms, hot showers and 2 group camping areas. Check out time is 2pm and check out is noon. Pets are okay – on leash. There is a 15 day stay limit at the campground. Lost Dutchman State Park is named after the legendary lost gold mine believe to be somewhere in the Superstition Mountains wilderness. The Park is a great place to enjoy the beautiful Sonoran Desert and wildlife. There’s also some nice mountain bike and hiking trails that originate from the campground. 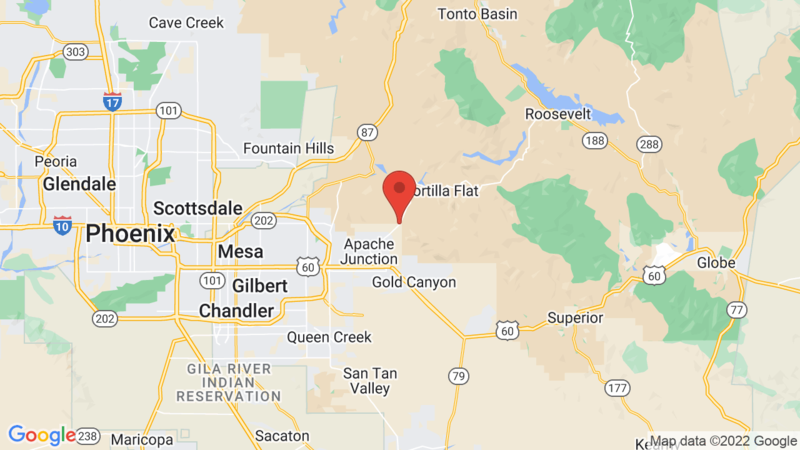 Other campgrounds in the area include McDowell Mountain Regional Park and also Cave Creek Regional Park. 4, 8, 32, 36, 38, 42, 48, 56. Visted Lost Dutchman State Park Campground lately? We'd love to hear about your adventure. Did you find us useful? Did we forget something? 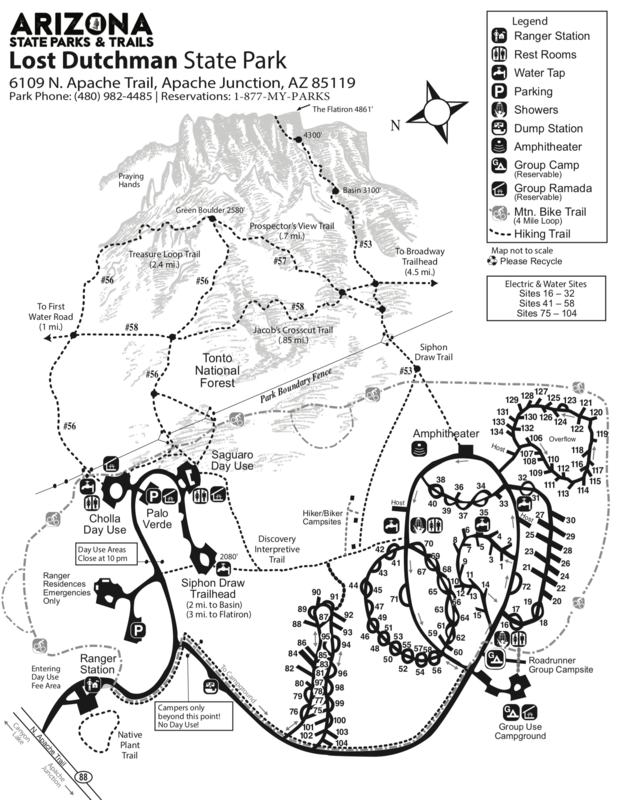 Anything our community should know before heading out to Lost Dutchman State Park? The AZ state parks website says there are 100+ campsites at this park, but I only saw 70 or so on Campsite photos! I think you need to update your listing…. You’re correct! Lost Dutchman State Park campground has 134 campsites (68 with water/electric hookups). They added new campsites (and cabins) since we photographed the campground, but we will be back out there in mid September to reshoot all campsites. Can’t walt! I have site 135 booked! When will you post the rest of the camp sites?